The St John’s MML Society was founded as the College community for students of modern languages. We aim to bring together students from all academic years of all different languages, to offer everything from a welfare perspective to academic mentorship to socials. The friendships and connections made across the academic years have always proved invaluable, especially when it comes to planning and leaving for the Year Abroad. All MML students are automatically members of the society. This event is usually at the start of the year and is organised for current second years who are starting to plan their Year Abroad. Over drinks and snacks, they get to meet current finalists who have just returned from their travels and ask all the questions they have. It is always a fun evening hearing everyone’s stories and a great source of information and contacts for the second year students. The ADC, Corpus Christi Playroom, Arts Theatre or the cinema, Cambridge has a lively arts scene and as a society we try to organise termly outings to the latest foreign-language plays and films. A dinner in the historic hall of St John’s for all members. A new fixture in the 2017-2018 events calendar, this social is open for all members to attend. Former St. John’s MML students are invited for an informal chat about their careers post-graduation and the paths they have chosen. This should be an excellent occasion to strengthen college ties between current students and alumni, as well as introduce undergraduates to alternative career paths. Held in the Fellow’s Garden on the backs after exams, this is a relaxed party bringing together all MML students with DoSes and supervisors to celebrate the end of the year with delicious food and Pimms. 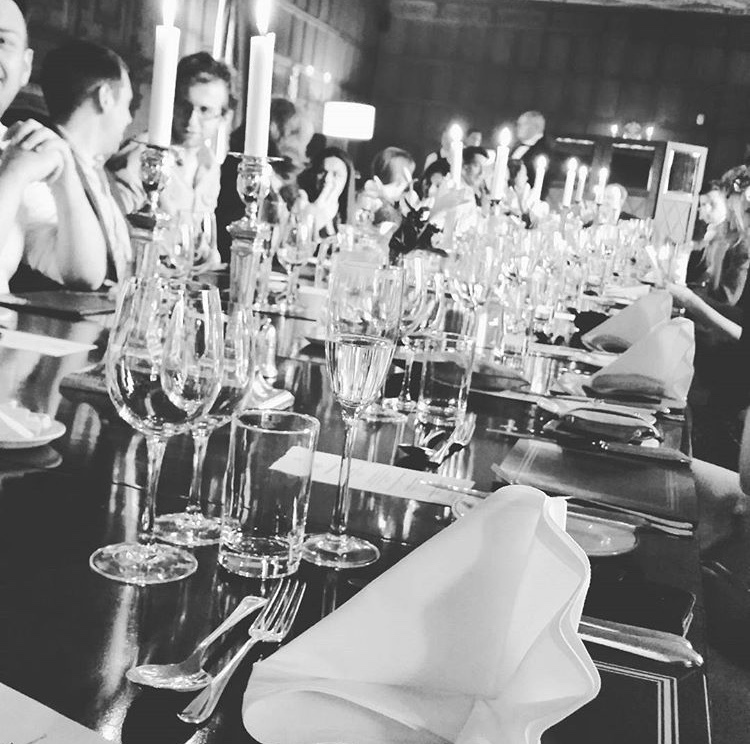 An unmissable formal dinner held in one of the college’s most beautiful candlelit rooms. It is a chance to reflect on our time at St. John’s so far and to wish all students good luck for their future. You can also find our society on Facebook.